A new report by an influential Westminster committee is scathing about the Home Office’s treatment of detainees at immigration centres, with the UK government accused of “serious failings” in almost every area of the detention process. The House of Commons Home Affairs Committee says that the Home Office has a “cavalier attitude” in its approach to immigration detention and there has been “disgraceful abuse” of detainees. Torture victims have not been protected and the report accuses the UK government of “utterly failing” in its responsibility to oversee the safe and humane detention of people. The report calls for an urgent overhaul of the government’s Adults at Risk (AAR) policy, stronger judicial oversight and a more humane decision-making process for detention to ensure that vulnerable people are being protected. MPs on the committee concluded that Home Office policies are regularly applied in a way that the most vulnerable detainees – including victims of torture – are not given the necessary protection. The policies should instead prevent unlawful detention and the harm of vulnerable people, they said. The Ferret has previously highlighted concerns over the treatment of torture victims held at Dungavel Immigration Removal Centre, South Lanarkshire. The Home Office was accused of overruling ‘Rule 35’ reports by doctors recommending that people suffering from post traumatic stress disorder should be released. Rule 35 reports were devised by the Home Office to protect vulnerable people in detention so that concerns raised by a doctor would likely result in a detainee with mental health issues or alleging torture being released. The new report by the Home Affairs Committee said: “The government should at the very least review the AAR policy guidance with immediate effect to ensure that it includes clear, inclusive and effective categories of vulnerability, with a presumption not to detain unless there are exceptional circumstances. The committee added that it was “extremely concerned” that the Rule 35 process is “plagued with too many long delays, sets too high an evidential burden, and that internal review panel recommendations to release are being overturned by senior Home Office officials”. 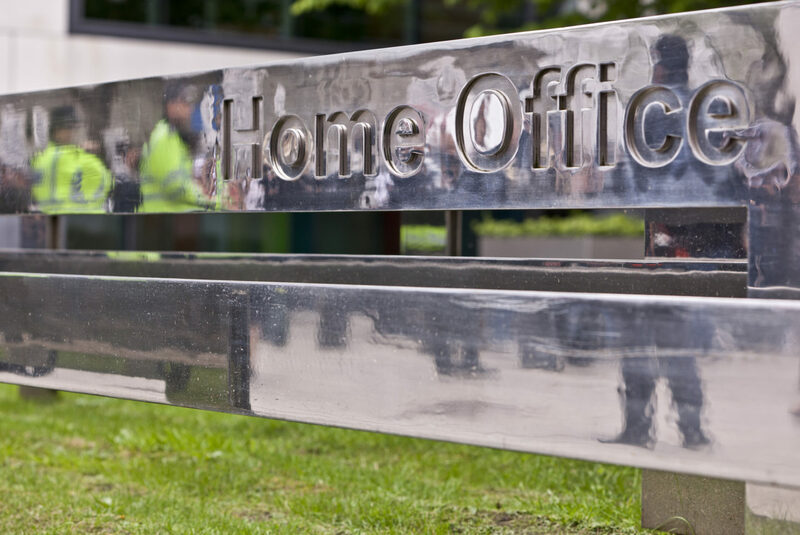 The report said that Home Office case workers should be trained to ensure there is “fairness, accuracy and consistency in their assessments and interpretation of Rule 35 reports”. MPs argued that there was a need for “an alternative, independent mechanism” in the Rule 35 decision making process. “Currently, decisions relating to Rule 35 reports are made by the caseworker responsible for progressing an individual’s case, as well as their detention,” they wrote. Their report also calls for an end to indefinite detention and a maximum 28-day time limit, adding that the Home Office must do much more to ensure that detention is an option of last resort. Stuart McDonald MP, a SNP member of the Home Affairs Committee, said that over the course of the inquiry MPs heard a “catalogue of failures” in the immigration detention system. “Fundamentally, it is unacceptable for people to be held for an indeterminate length of time for immigration purposes, worse still in conditions that are more likely to exacerbate physical and mental health issues,” he said. The committee called for “urgent action to provide a system that has detention as an option of last resort, with effective safeguards to protect vulnerable people,” McDonald added. Yvette Cooper, the Labour MP who chairs the Home Affairs Committee, said that “irresponsible failures” by the Home Office have led to “vulnerable people being wrongly detained, people being held in detention far too long, and serious failings in the operation of individual Immigration Removal Centres”. She said that reform is “needed urgently to ensure the immigration detention system is fair, works sensibly, is transparent and humane”. Cooper added: “The Home Office approach to immigration detention is careless and cavalier – including casework failures, insufficient judicial safeguards, and a general lack of humanity in the system. Kate Alexander, director of Scottish Detainee Visitors (SDV), said the report was the latest in a long line of inquiries to raise “serious concerns” about the UK’s immigration detention system and to suggest reform. “SDV is pleased that the committee has endorsed the call for a 28 day time limit on detention. This would considerably reduce the number of people detained, and would end the mental anguish caused by indefinite detention,” she added. A Home Office spokesperson said: “Detention is an important part of our immigration system – but it must be fair, humane and used only when absolutely necessary. We do not detain people indefinitely, and the law does not allow it – most people detained under immigration powers spend only short periods in detention. Photo thanks to Harry Metcalfe, CC BY-SA 2.0.